So Nottingham Comic Con 2017 is over for this year and boy was it awesome! We absolutely loved running it, talking to creators and seeing people pick up their books and artwork! I was also very fortunate to have the guys from A Place to Hang Your Cape take a look at the book and write a review. Check it out here. I’m currently working on the ongoing comic for Wargames Illustrated. I’m about to work on my Tanks book as well as an untitled book about a comic book creator (where did I get that idea from…). Plus I’m hoping to work on an anthology for one or two folk, but we’ll see if they come off. 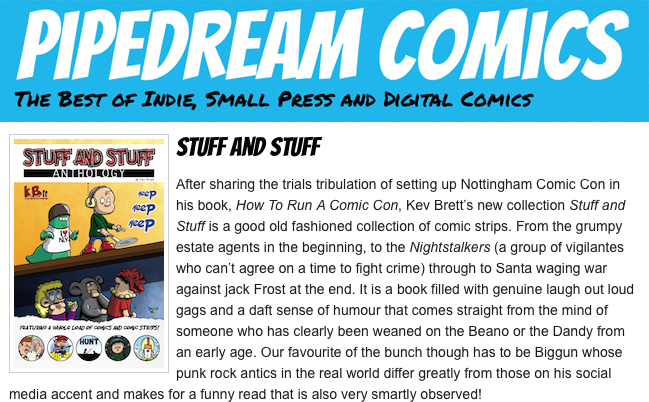 You can also check out the work I have in the Nottingham Comic Con Charity Anthology book that I also edited and put together. Hope you enjoy it!